When I think about school buildings, I automatically get a picture in my head of square classrooms, long hallways, the principals office, a cafeteria, maybe an auditorium, and definitely, a gym. 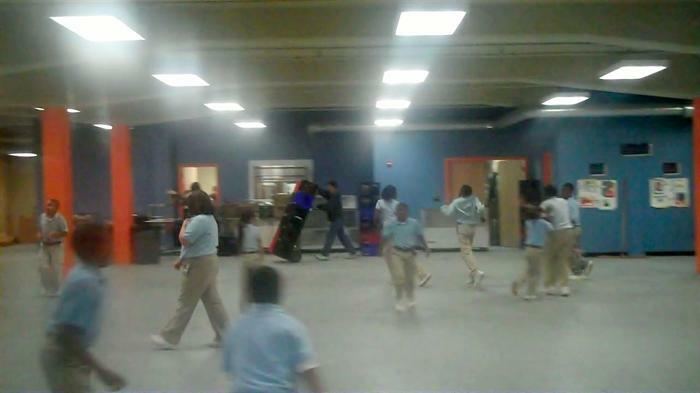 When I was grade school (which wasn’t that long ago) every school I attended had a gym. Some of these schools had playgrounds too, while others didn’t, but a gymnasium with athletic equipment including cones, jump ropes, and balls of all sorts was definitely part of the scenery. But was I spoiled? I’m thinking back; I was a high-mobility kid whose family was always on the move. I attended 11 schools in 13 years, and not once did I attend a school that didn’t have a gym! Paramount School of Excellence submitted a grant called “Our School Needs”, and what they need is gym and a quality sports program. This isn’t much to ask for considering everything they give back to the community each day. PSoE sits in a neighborhood where it isn’t always super safe to just go out and play, so the one place these students (and every student) should be able to depend on to get active is at school! Check out this article which discusses the grant, and gives a strong argument for why a gymnasium shouldn’t be a luxury!